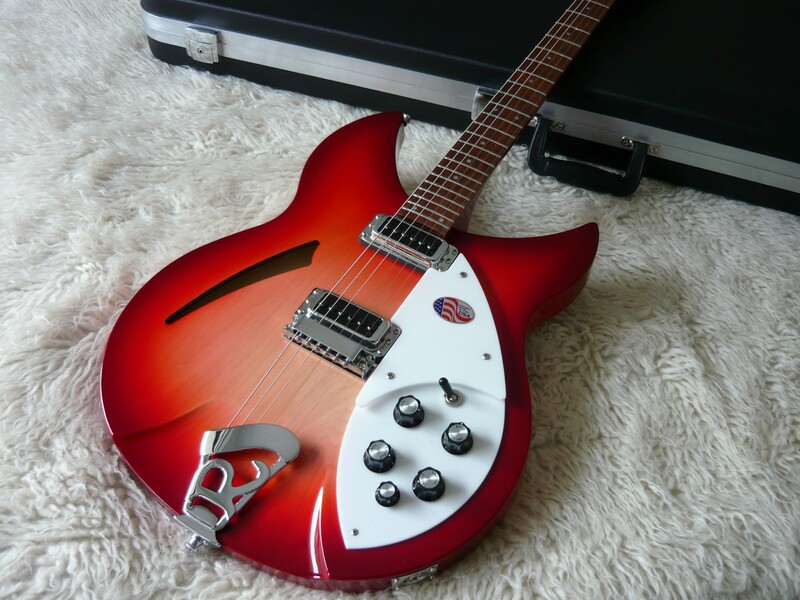 The jingle jangle of Rickenbacker was all part of the 60s Rock n Roll Revolution right up there with all the famous guitar brands of that revered era. The Ric 330 has elegant appointments, beautiful wood grain layers total eye candy. She sounds like a dream, a true blast from the past. Rickenbackers are legendary for their rarity. So limited is the output of their Californian factory, that most Rickenbacker orders take between 1-2 years (yes YEARS!) to turn up. Rickenbacker refuse to move or expand because they don't want to change anything about the way their guitars are made. Fair play to them! Comes with Rickenbacker hard case and all the case candy provided by the USA Factory.